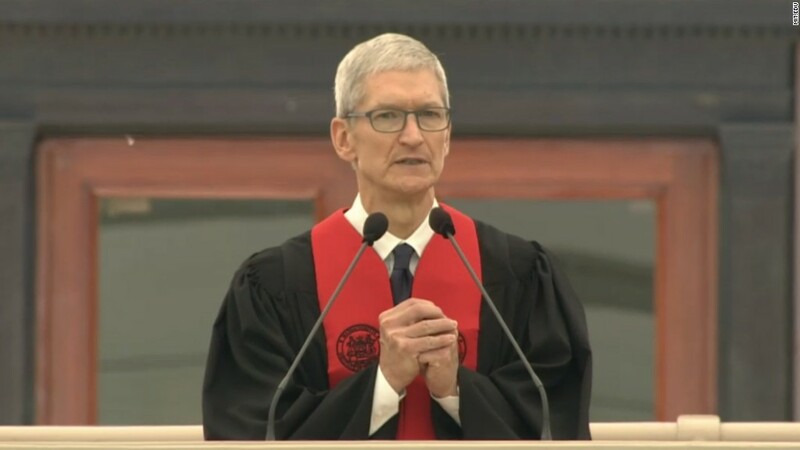 "I'm not worried about artificial intelligence giving computers the ability to think like humans; I'm more concerned about people thinking like computers -- without values or compassion," Apple CEO Tim Cook told MIT grads Friday. Cook also shared a telling anecdote about his leadership style. When pressed by an investor about those moves, Cook recalled saying, "We do these things because they're the right thing to do...If you can't accept our position, then you shouldn't own Apple stock." Cook joined Apple (AAPL) in 1998 and took over as CEO after Steve Jobs passed away in 2011. Prior to joining Apple, he was a vice president at Compaq, a now-defunct computer services company.